High quality and stylish promotional gifts will make sure your company is remembered by customers and business partners alike. 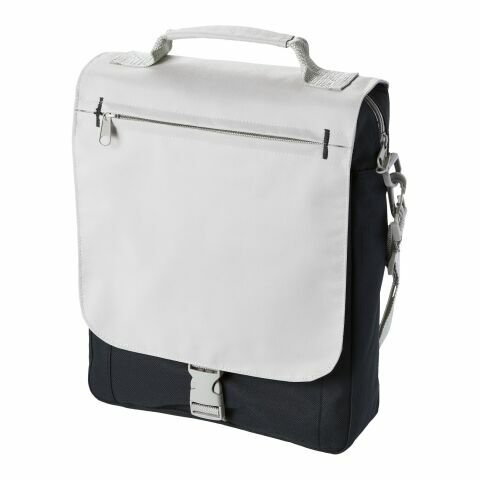 The printed bags in this category range from polyester laptop holders and conference bags, to premium leather briefcases. Our promotional business bags have small pockets for pens and printed notebooks and larger ones for important documents and folders. Most have shoulder straps and a select few also have handles, so your customers can choose how they prefer to carry their bag. These make great stand alone products but can also be paired with other promotional products to create a gift bag. These business bags can be filled with various products such as lanyards, a wallet or a selection of printed pens. All personalised with your logo! From the extensive range of styles in our web shop, there is bound to be one to suit your brand. The first briefcase or satchel was used in the fourteenth century, and was used to carry valuables. At that time, it was called a ‘budget’ and that is also where the modern financial term ‘budget’ derives from. The business bag as we know it now wasn’t created until the 1850’s, and ever since it has been an integral part of workwear. Its important to look after our important documents and laptops, using these specifically designed bags will keep them safe as well as allow you to easily transport them from home to work. Show your customers, business partners and clients your appreciation with promotional business bags. These are practical but also premium products, which have a high user rate. A promotional product that is used daily will ensure your logo is seen by many onlookers throughout the recipient’s day. As a thoughtful gift, these personalised items are sure to induce positive memories of your business in the client’s mind. 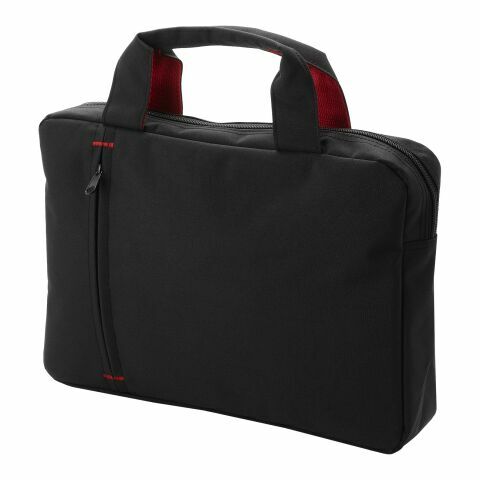 There are styles to suit all in the allbranded web shop, including smart briefcases made from leather, conference bags in imitation suede, as well as laptop cases and messenger bags made from nylon. These also come in a range of colours, whichever style you choose; they can be customised further by having your corporate design printed on the front. It is widely know that corporate gifts can raise brand awareness, make customers feel appreciated and valued and even lead to new business being generated! The allbranded briefcases are supplied with a minimum order of 250 pieces and offer a printing surface of 100 x 40 mm with a format of 105 x 160 x 20 mm. Your logo is printed by allbranded on the front for high visibility. The delivery time is 2 to 3 weeks. From tan leather to the classic black, there are many colours to choose from. In addition to the briefcases allbranded offers a large number of other creative advertising products and is your professional partner in terms of merchandising. Visit the online shop of allbranded and let the huge selection of promotional items inspire you. We ensure high quality of standards for the satisfaction of your customers.